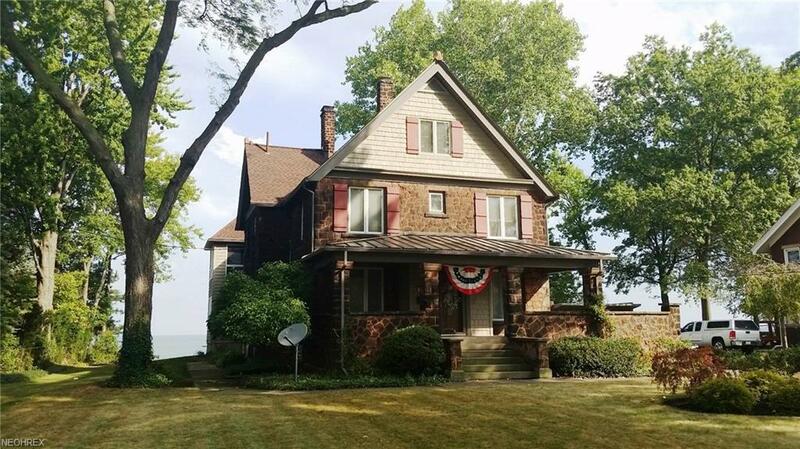 Sit back relax and enjoy the sights, sounds and panoramic views of Lake Erie from this Lake Front Century home featuring over 6,000 sq. ft. of living spaces. 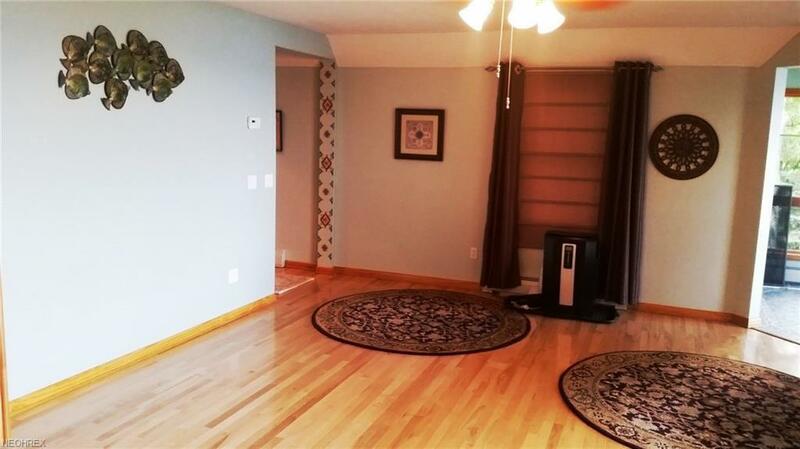 3 baths, 3 fireplaces (2 gas and 1 wood burning), 2 sun rooms, a spacious basement and a third floor loft that is completely finished. 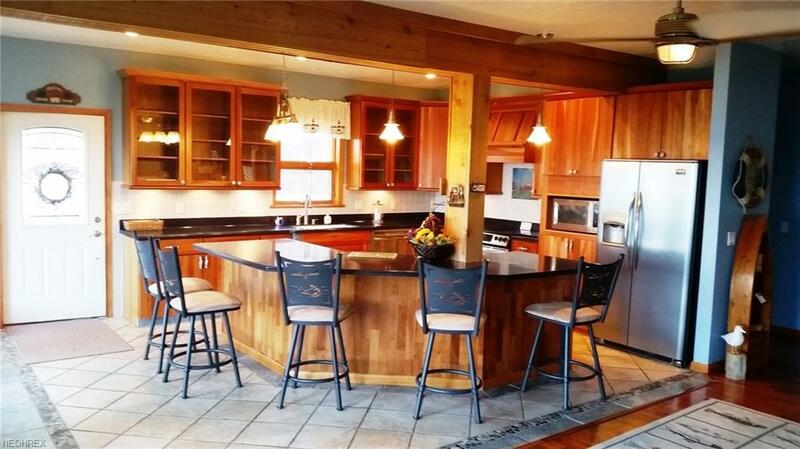 This home is truly amazing in style, comfort and conveniences. The amenities include a large front porch, crown molding, wood floors, a marble living room fireplace, built in book cases, pocket doors to the large formal dining room with leaded windows which flows into a large open kitchen and great room with Kraft Maid cabinets, stainless steel appliances, tile flooring, walkin pantry, 1/2 bath, and wet bar. 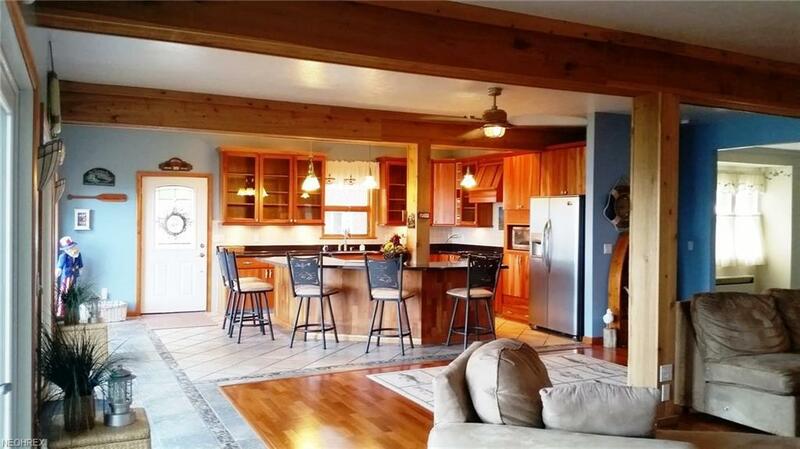 There are three 9 foot Anderson French doors overlooking the view of Lake Erie and opening onto the large deck across the back of the house for morning coffee welcoming the sunrise or watching the gorgeous sunsets. The 27x16 lakefront deck with steps to the lake, boat hoist, pier, fire pit , storage shed and large back yard provide opportunities for large family fun. The bath room vanities, upstairs computer area, and morning kitchen are all Kraft Maid cabinets. The master suite has amazing views, a fireplace, private bath featuring a 48 inch shower, jetted garden tub, sunroom, and a 19x9 walk in closet with built in storage. Brick, sandstone and vinyl siding. Roof is 3 years old. 2 houses in one with the addition to the back of the house added onto 12 years ago.